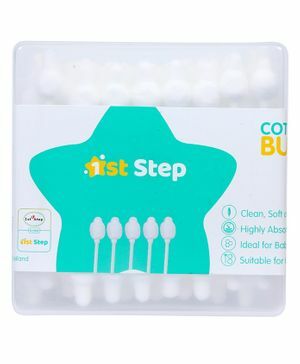 1st Step presents pure cotton buds for children, The cotton buds are ideal for baby's delicate skin. The buds are feature safety tip for ear drum protection. The buds are suitable for cosmetic use.